Soon is Xmas! We are all waiting for this cool holiday! Of course, as you know there should be so may candies and sweets! And now your task is to click as many times as possible and to catch all candies on your way to the win! 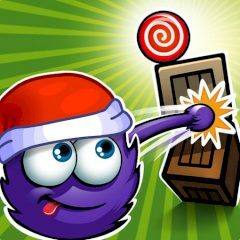 Just take your Santa hat, cause it is so cold and be ready to solve each puzzle levels! Go ice-fishing, have snow-ball fights, slide around on the ice, move presents and more! So, try to make everything perfect and eat all sweets! This nice ball is waiting for you right now! Vanquish this game!